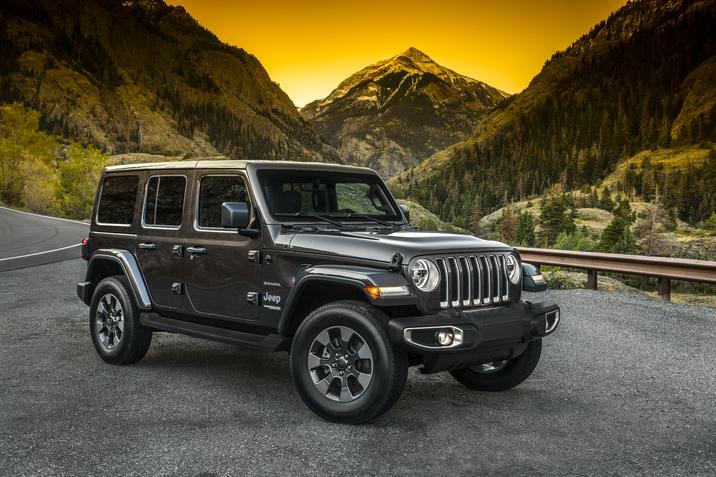 In the category of compact/midsize SUV, the 2019 Jeep Wrangler reigns supreme. Taking home a 2019 Vincentric Best Value in America award, the 2019 Wrangler earned top marks in Vincentric’s cost-of-ownership evaluation. In terms of fuel, maintenance, repairs, financing, fees and taxes, depreciation and opportunity costs, the Wrangler couldn’t be matched. The 2019 Jeep Wrangler is available at five trim levels: Sport, Sport S, Sahara, Rubicon, and MOAB. You have the option of a two-door of four-door body style on the Sport, Sport S, and Rubicon trims. The Sahara and MOAB trims feature only a four-door body style option. The standard 3.6-liter V6 paired to a six-speed manual transmission generates 285 horsepower and 260 lb-ft of torque. For a more responsive performance, opt for the available 2.0-liter direct-injection turbo engine paired to the available eight-speed automatic transmission for 270 horsepower and 295 lb-ft of torque. The adventure-ready 2019 Wrangler features a well-equipped, comfortable interior overflowing with modern infotainment technology to help ensure every journey, on or off road, is well-connected. Available Apple CarPlay and Android Auto smartphone compatibility keeps you connected to your favorite apps while the available Uconnect 4C NAV system, which boasts an 8.4-inch touch screen, integrated Voice Command, and Bluetooth® connectivity, delivers an entertaining ride.